At the hour of the hot spring sunset at Patriarch’s Ponds two citizens appeared. As a mysterious gentleman and self-proclaimed magician arrives in Moscow, followed by a most bizarre retinue of servants – which includes a strangely dressed ex-choirmaster, a fanged hitman and a mischievous tomcat with the gift of the gab – the Russian literary world is shaken to its foundations. It soon becomes clear that he is the Devil, and that he has come to wreak havoc among the cultural elite of the disbelieving capital. But the Devil’s mission quickly becomes entangled with the fate of the Master – the author of an unpublished historical novel about Pontius Pilate – who has turned his back on real life and his lover Margarita, finding shelter in a lunatic asylum after traumatic publishers’ rejections, vilification in the press and political persecution. 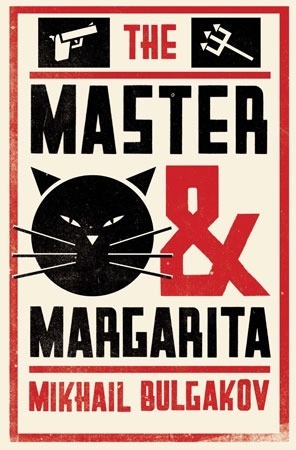 Will the Devil manage to enlist the fiery Margarita into his ranks, will she remain faithful to the Master to the very end and come to his rescue? My Russian student brother actually bought this for me as a Christmas present (it took him at least two decades to start buying gifts, so this is quite a big deal). It sounds pretty serious and that blurb is nothing short of terrifying, but for the chance to talk literature with my brother, I’m definitely going to give it a shot!